THIS IS IT! 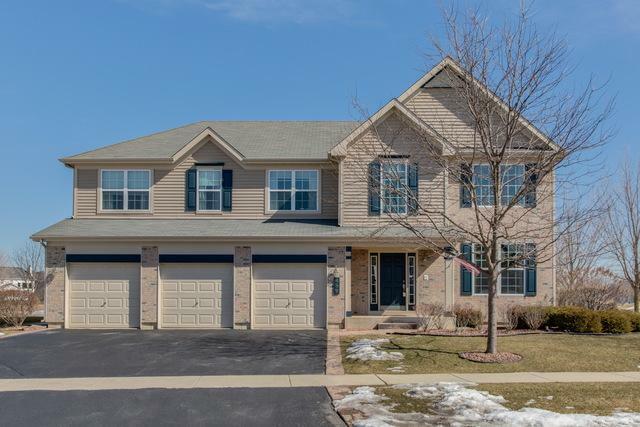 UPDATED and SPACIOUS 5 bedroom home in the Prairie Trail subdivision! 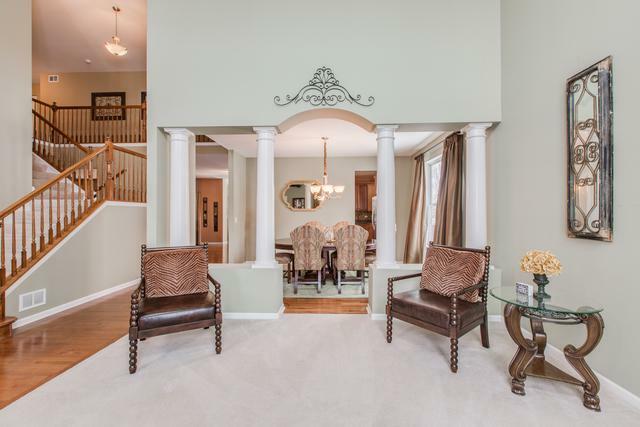 Soaring ceilings welcome you as you enter the two-story foyer, leading to formal living area and dining room. Kitchen boasts tons of cabinet and counter space along with additional eating area full of natural light. 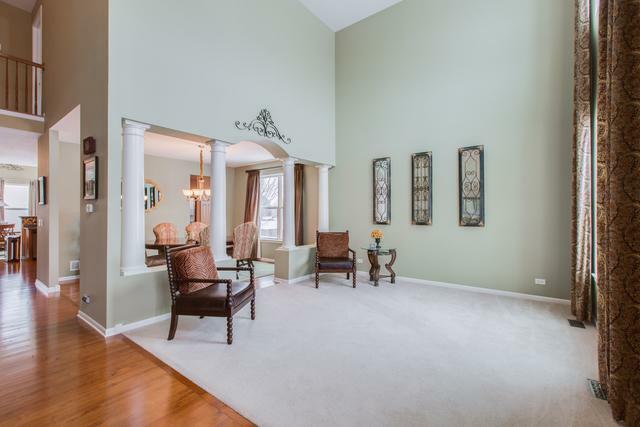 Family room features stone fireplace. Office/5th bedroom located on first floor along with powder room and laundry. 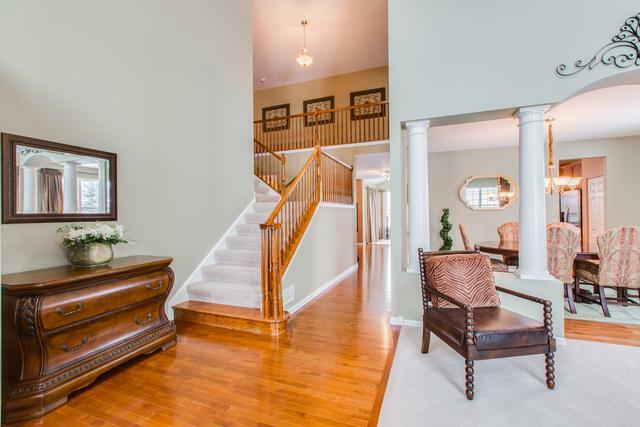 Beautiful hardwood floors throughout the first level. Four bedrooms upstairs ALL with walk-in closets! Jake-and-Jill bathroom. HUGE master bedroom with separate sitting area and private master bath retreat! Fully finished basement features wet bar, media room, second fireplace and luxurious bathroom with claw-foot tub and steam shower! Tons of storage! Family & media room pre-wired for surround sound. Home intercom system. Fenced in yard with large stone patio and pond views. Three car garage. Convenient to Route 59, 83, 132 and Metra. IT'S A MUST SEE!